One of the major health issues concerning medicine today is the impact of contemporary living on the functioning of the brain, especially in our children. Environmental neurotoxicity is quite possibly one of the most detrimental factors for the health of man, yet it is virtually impossible to control. Autism, being an illness which has been identified as occurring in ever increasing rates, is one of the illnesses which may be arising as a direct result of our environment. As a result of this, research has been ongoing to investigate just what happens in the brain of someone who suffers from the illness and, just as importantly, how to mitigate the problems. Quite recently two studies have been investigating how to reduce the problems associated with what is known as glutamate excitotoxicity in the brain which appears in patients with Autism. Glutamate excitotoxicity results in neurons in the brain being damaged or even killed because the receptors for glutamate are either suffering from being flooded by it or the receptors become sensitive to glutamate and don’t need as much to stimulate them. Glutamate is extremely important to the brain because it’s a neurotransmitter, it’s just that too much of it or a sensitivity to it, sends everything into overdrive and the nerve cells become injured or they are killed. This results in one or more of the many symptoms of autism occurring. The problem then would appear to focus around reducing the excitotoxicity aspect. 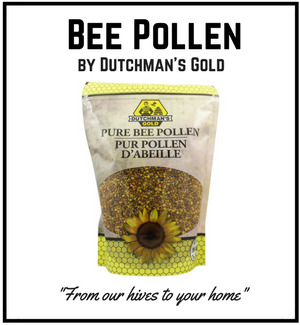 Proven to have some positive effect in this regard is Bee Pollen. Let's look at the studies. GABA is something that many people today have heard of and it makes up part of the circuit in the brain made by glutamine - glutamate and gamma amino butyric acid (GABA) and this circuit functions normally when the uptake of glutamate is normal. When the uptake of glutamate goes wrong though, then the whole circuitry also goes wrong and one substance known to cause the problem of glutamate excitotoxicity is Propionic acid. Propionic acid is a short chain fatty acid and this is usually administered in laboratory studies to induce glutamate excitotoxicity and study potential effects and treatments. In one laboratory study (1), on rats which had been given proprionic acid, scientists measured the effects on glutamine, glutamate and GABA after they were given bee pollen to see whether the levels were affected and if the effective functioning of the circuit was restored. 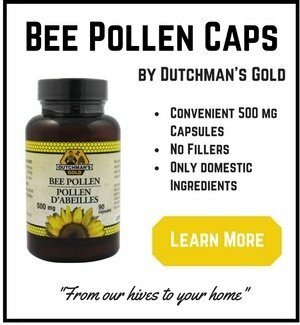 What they discovered was that bee pollen had positive effects on restoring normal ratios of the neuro transmitters and that the negative effects caused by the proprionic acid were mitigated in part, although not entirely. The rats were fed 50 mg of bee pollen per day in this study. The average rat weighs 230 grams (1/2 lb) which equates to 100 mg per pound. In a 150 lb person, this equates to 15 grams per day (roughly a heaping tablespoon of bee pollen). This work supports the findings of another study published a year earlier (2) which also found that bee pollen administered to rats who had excitotoxicity induced by propionic acid, had the ability to ameliorate the neurotoxic effects of this short chain amino acid which is known to negatively affect glutamate. The rats were also fed 50 mg of bee pollen per day in this study. The implications of this work could affect many people and even those outside of people diagnosed on the autistic spectrum. Environmental toxins associated with contemporary living such as pesticides, chemicals and EMF's from cell phones are considered to potentially be the main contributory factors to many illnesses which are arising with increased and alarming frequency. If research is extended then, although we might be limited in what we can do to avoid what have become essentially, necessary evils, then there is a good chance that we might be able to negate the negative effects not only on our bodies but also our brains. 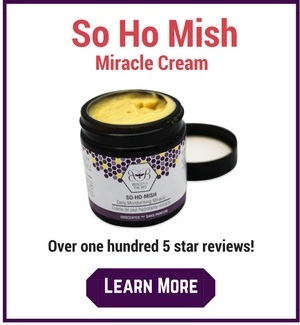 Chances are however, that you're reading this because you're interested in getting an answer to the question "will bee pollen help my autistic child/nephew/niece/grandchild?" The answer to this question is that we don't quite know. These studies were done in animals and while these can be suggestive of future success in human trials, they aren't a slam dunk. Fortunately, bee pollen is a nutrient dense superfood that has zero negative side effects for the overwhelming majority of consumers. It is also very reasonably affordable. 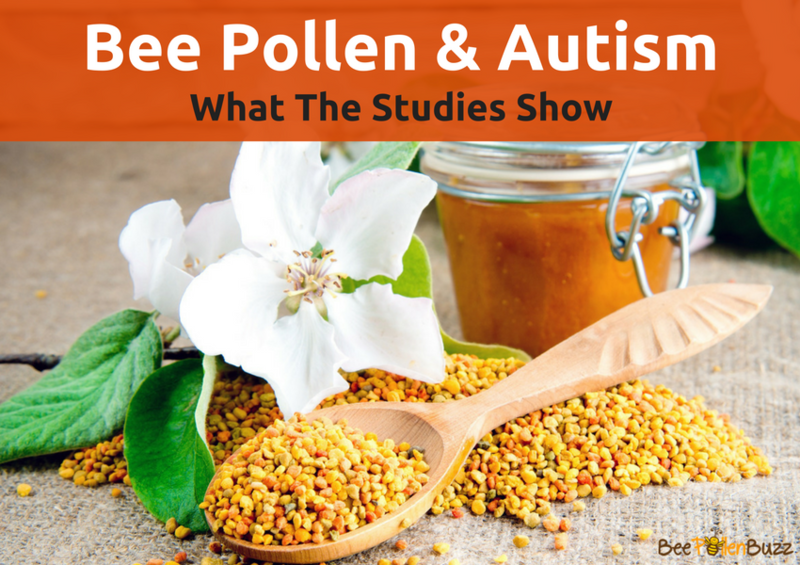 Administering your autistic child a small dose of bee pollen daily for several months has in most cases very little risk and based on these studies, potentially a positive health benefit.